Due to the short timeframe to prepare for the remodel, we hired Willamette Valley Movers to help us move our stuff into storage. Sharon is glad we did! They were extremely efficient, fast and careful. 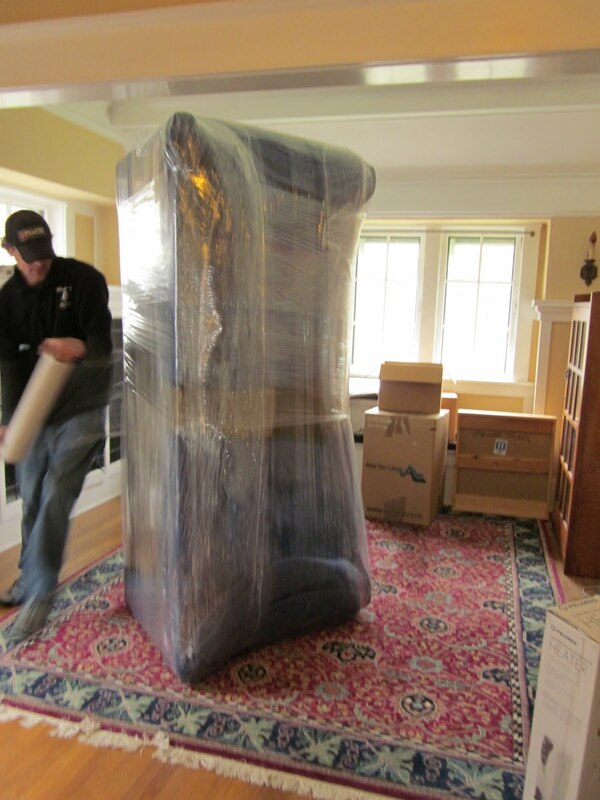 They took only two hours to wrap the furniture, move everything out and load up their truck; it probably would have taken us an entire day, or more, and there certainly would have been more wear & tear to the house and furniture. It was definitely worth the extra expense. The bulk of the stuff is gone, now we just need to deal with the dregs. Oh, and we still have to pack the kitchen. That 10'x30' storage unit doesn't seem so extravagantly large now.